A perfect story-teller, who comes with an Entrepreneurial Mindset that built Himachal Pradesh’s (India) first grassroots journalism and think-tank initiative, HimVani. India unveiled its annual budget on Wednesday and much focus has been laid on moving towards a digital economy. There were of course enough measures and proposals (see below) to move in the direction. But it left many loopholes too — specifically in measures to curb black money — that the whole idea of moving towards a cashless economy becomes a lip service. Why not make political funding completely digital? India’s Finance Minister, Arun Jaitley, while announcing the annual budget for FY 2017-18, proposed to bring down the cap on cash donations to political parties from the current INR 20,000 (US$295 approx) to INR 2,000 (US$29 approx). Bigger amounts of course can be made through checks and digital transfers. The government hopes that it will bring transparency and curb corruption. Any transaction, big or small, done in cash, leaves room for manipulation and false book-keeping. Any big amount donated in cash can be broken into smaller amounts and attribute them to multiple proxy people (or what Indian folks would call as Benami transactions). The government hasn’t proposed anything to bring transparency in political spends. It leaves room for political parties to declare only a fraction of the actual spendings. This room to track the source of this fraction of declared spends too has been plugged in with the proposal of introducing electoral bonds. Donors can now buy electoral bonds and make anonymous donations to political parties. The only solution that can fix the problem and make the funds with political parties more transparent is a move towards complete digital funding. Political parties who are in governance cannot expect the public to adopt digital economy and leave themselves out of the ambit. The buck has to stop with the political parties themselves. The Indian Union Budget also proposed to cap all cash transactions at INR 300,000 (US$4,450 approx). The cap comes as a welcome move, but it still leaves room for a parallel economy unless the government can put a cap on cash holdings. While the impetus has been to encourage retail digital payments, an amount of INR 300,000 as a cash transaction, still is a big enough amount to come up with loopholes to circumvent detections of or taxes on big ticket ticket purchases, particularly in the unorganized sector. The budget also proposes to abolish applicable duties on the manufacture and import of Point of Sale (PoS) devices and the components used to manufacture them. In yet another push for digital payments and to move towards a cashless economy, the government has abolished all the applicable duties on the manufacture and import of Point of Sale (PoS) devices and the components used to manufacture them. The Basic Customs Duty (BCD), Countervailing Duty (CVD) and Special Additional Duty (SAD) that was applicable on the import of miniaturized PoS card readers and micro ATMs, finger print readers and scanners, and on iris scanners, have now been reduced to zero. The above proposals do make the PoS cheaper to acquire, but in no way encourage their adoption by the retailer or encourage the customer to go for digital payments. There were no incentives proposed or waiver of transaction fee for PoS machines and digital remittances. The only relief comes in form of waiver of service charges on online rail bookings on the government owned website — IRCTC. There were also expectations that the government would announce sops to bring down costs of smartphones, which eventually are the real POSes, leading towards a digital economy. There were none. In fact the prices of smartphones would go up, even though marginally by 1%. The government has proposed to levy a special additional duty of 2% on a component that accounts for nearly 30% of a phone’s manufacturing cost. This means that handset manufacturers, domestic or foreign, will have to pay an extra duty if they import printed circuit boards (PCB) used in mobile phones. The move though puts up a case for the government’s push for ‘Make in India’. The ultimate goal of a digital economy is to curb corruption, black money and hoarding and bring more money into the banking system. 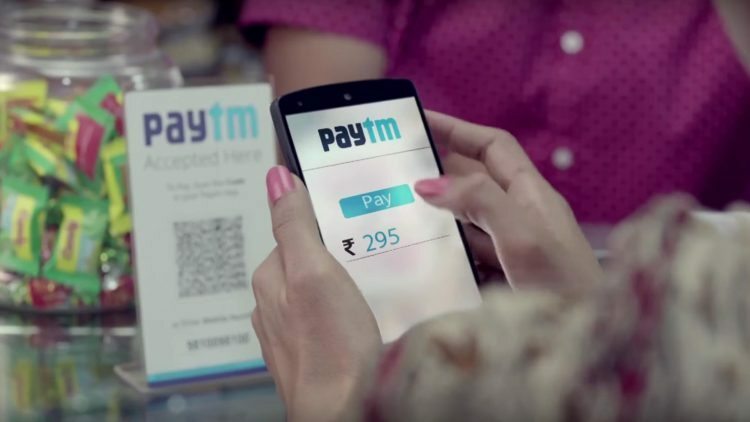 There are enough loopholes still to avoid digital payments. The government has proposed to setup up a Payments Regulatory Board in the Reserve Bank of India by replacing the existing Board for Regulation and Supervision of Payment and Settlement Systems. The new Board is a welcome move to regulate digital payments and related disputes. However, when we talk about moving towards a digital economy, there has been a significant rise in trading of Bitcoins as well in the country, in the past few years. While no one was expecting the Finance Minister to announce any regulatory measures on it — can Bitcoins be regulated though is a separate question — the government cannot be ignorant about it and Bitocins can be a gray area where money launderers could shift their currency to. Given the loopholes, it is yet to be seen how much the initiatives proposed by the government can really push the economy on the digital path.